 We sell Campbell chain and wire, cut to length, at Ace Hardware & Sports in Midland, MI. Whether you are hoisting equipment, rigging safeties, or fixing a swing set, we have the chain, wire & fittings you need. A small selection of Campbell products are available through AceHardware.com, and can be ordred online for free in-store pickup. Many more are available in our store. We’d love to invite you to see our selection, and help pick exactly what you need for your project. In addition to Campbell’s line of chain, their industrial carbon and alloy chain fittings, industrial shackles, turnbuckles, blocks, and clamps are proudly manufactured in the United States from domestically produced American steel. Standing out from their competitors, Campbell stands committed to producing only the highest quality, American-made products for the ultimate in strength and dependability. They’ve done it this way for over 175 years. Since 1834 Campbell has manufactured products for the most demanding applications. With a long history of product excellence, Campbell continues to serve and lead various organizations dedicated to the rigging, chain, and fittings industries. Campbell is a principal member of the National Association of Chain Manufacturers (NACM) and chairs the American Society for Testing and Materials (ASTM) A01.27 subcommittee on steel chain. A Campbell representative has served on the American Society for Mechanical Engineers (ASME) subcommittee B30.9 on slings since 1992 and B30.26 on rigging hardware since its establishment. Campbell is a member of the Associated Wire Rope Fabricators (AWRF) and currently chairs the chain subcommittee of the AWRF technical committee. They are proud members of the Association of Crane and Rigging Professionals (ACRP).